A revolutionary new “robot millipede” is the latest bio-inspired technology promising to change the way we deliver medicine to patients. The project, which was developed by scientists from the City University of Hong Kong, is said to be able to deliver medicine to several different parts of the body, as well as detect toxins in our systems. Drawing inspiration from living organisms has been a popular concept among scientists for several years now. After studying hundreds of animals with multiple sets of legs, scientists at the University discovered that most animals have a leg-length to leg-gap ratio of 2:1 to 1:1; they then used this research to determine the right ratios for the millirobot design. Overall, the prototype’s body thickness measured approximately 0.15 mm – with each robotic leg measuring 0.65 mm long and the gap between the legs measuring approximately 0.6 mm; making the leg-length-to-gap ratio around 1:1. As a result of this, the robot is able to move more easily and make less contact with the various surfaces located inside the human body. The main body of the millirobot is a film made from a blend of silicone, hexane and magnetic particles. The magnetic particles are used to create “legs”, which are then manipulated using an external magnetic source to allow the robot to crawl, swim and even climb walls inside the body. The millirobot is extremely strong for its size, with lab tests showing the prototype was capable of carrying loads 100 times heavier than its bodyweight. Also, when facing obstacles, the robot was able to climb up to 10 times higher than its height at a 90 degree angle! 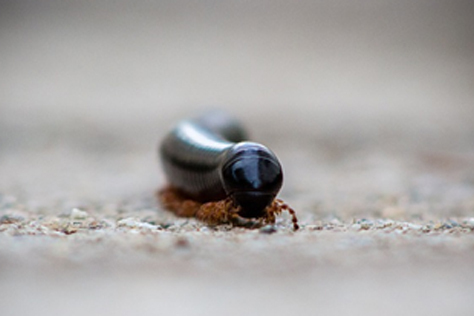 Therefore, due to the millipede’s strength and ability to withstand harsh environments, scientists hope that the device will be able to easily travel through several parts of the body to deliver medicine, such as through travel the digestive tract or abdominal cavity. While the current prototype has only been tested successfully in animals, it’s hoped that with further research and testing the robot will be able to be used by humans. Over the next two to three years, scientists hope to create a biodegradable millirobot; meaning it’ll be able to naturally decompose once it’s delivered medicine in the body. One of the potential advantages of this technology is it removes the need for medicine to be self-administered. This would be particularly helpful for those on routine prescriptions or those who often forget to take their medication. Furthermore, it’s also hoped that the robot will be able to detect hazardous chemicals in the body, which could mean illnesses are flagged up sooner and stand a better chance of being successfully treated. However, it’s difficult to predict how far this technology will be applied. Understandably, not everyone may warm to the idea of having a robot crawling inside of them. There’s also the question of ethics – for those who are not in a position to regularly administer their own medication, is it morally correct to use a robot instead? What’s more, building and maintaining the robots will be expensive and may not be financially viable in the longer term. It is also not yet clear how the millirobot would be removed from the human body if it were to fail or breakdown. Overall, the technology is certainly exciting and could prove extremely useful in medicine. However, it’s worth remembering that currently this is only a prototype and human testing hasn’t yet taken place, which could prove to be a whole new ball game. Therefore, only time will tell how far this technology will go.